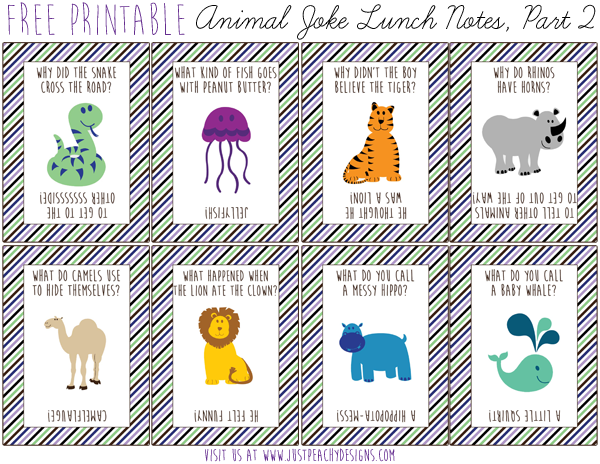 Remember these free printable animal joke lunch notes? Well, now I present to you - Animal Joke Lunch Notes, Part 2! Just click the above image to download these free lunch notes. Enjoy!